For engine reconditioning Perth, as well as new and used engines and parts in Perth, the only choice is Bell's Engines. At Bells Engines there is an enormous choice of products including engines and parts for every car and truck to all the heavier commercial engines such as Cummins®, Caterpillar®, Detroit®, etc. Call Bells Engines today and you will find you are in good hands with Perth's best Engine Reconditioning service. We recondition engines of all kinds including car engine reconditioning in Perth. We recondition Toyota engines, Ford engines, Holden engines, Mitsubishi engines, Nissan engines, Hyundai engines, Mazda engines and Subaru engines throughout the Perth area. When conducting engine reconditioning in the Perth area we always ensure a quality service for each and every customer. We can even arrange for your engines to be removed and delivered to our Workshops. For information or service Contact us today. For engine balancing services in Perth and Western Australia you can count on the No.1 engine balancing company - Bells Engines. At Bells Engines we cater for all your engine balancing needs including petrol and diesel engines. Whatever your engine balancing requirements and we have the right equipment and skills to the job for you in Western Australia. All our engine balancing is carried out with our fully computerised, world renowned SUNNEN DCB 750 Engine Balancer. This state of the art balancing machine allows for absolute precision balancing in relation to all your engine balancing needs and requirements. At Bells Engines we provide engine balancing services throughout all of Perth including Alexander Heights, Alfred Cove, Applecross, Ardross, Armadale, Ascot, Ashfield, Attadale, Atwell, Balcatta, Balga, Ballajura, Bassendean, Bateman, Bayswater, Beaconsfield, Beckenham, Bedford, Bedfordale, Beechboro, Beechina, Beeliar, Beldon, Bellevue, Belmont, Bentley, Bertram, Bibra Lake, Bickley, Bicton, Booragoon, Boya, Brentwood, Brigadoon, Brookdale, Bull Creek, Bullsbrook, Burswood, Butler, Byford, Calista, Canning Vale, Cannington, Cardup, Carine, Carlisle, Carmel, Carramar, Casaurina, Caversham, Champion Lakes, Churchlands, City Beach, Claremont, Clarkson, Cloverdale, Como, Connolly, Coogee, Coolbellup, Coolbinia, Cooloongup, Cottesloe, Craigie, Crawley, Currambine, Daglish, Dalkeith, Darch, Darling Downs, Darlington, Dianella, Doubleview, Duncraig, East Cannington, East Fremantle, East Perth, East Victoria Park, Eden Hill, Edgewater, Ellenbrook, Embleton, Ferndale, Floreat, Forrestdale, Forrestfield, Fremantle, Girrawheen, Glen Forrest, Glendalough, Gooseberry Hill, Gosnells, Greenmount, Greenwood, Guildford, Gwelup, Hamersley, Hamilton Hill, Hazelmere, Heathridge, Helena Valley, Henley Brook, High Wycombe, Highgate, Hillarys, Hillman, Hilton, Hocking, Hovea, Huntingdale, Iluka, Inglewood, Innaloo, Jandakot, Jolimont, Joondalup, Joondanna, , Kalamunda, Kallaroo, Karawara, Kardinya, Karrinyup, Kelmscott, Kensington, Kenwick, Kewdale, Kiara, Kingsley, Kinross, Koondoola, Koongamia, Landsdale, Langford, Lathlain, Leda, Leederville, Leeming, Lesmurdie, Lockridge, Lynwood, Maddington, Madeley, Mahogany Creek, Maida Vale, Manning, Marangaroo, Mariginup, Marmion, Martin, Maylands, Medina, Melville, Menora, Merriwa, Middle Swan, Midland, Midvale, Millendon, Mindarie, Mirrabooka, Morley, Mosman Park, Mount Claremont, Mount Hawthorn, Mount Lawley, Mount Nasura, Mount Pleasant, Mt Helena, Mt Richon, Mullaloo, Mundaring, Mundijong, Munster, Murdoch, Myaree, Nedlands, Neerabup, Nollamara, Noranda, North Beach, North Fremantle, North Lake, North Perth, Northbridge, Oakford, Ocean Reef, Oldsbury, Orelia, Osborne Park, Padbury, Palmyra, Parkwood, Parmelia, Pearsall, Peppermint Grove, Perth, Pickering Brook, Piesse Brook, Port Kennedy, Queens Park, Quinns Rocks, Redcliffe, Ridgewood, Riverton, Rivervale, Rockingham, Roleystone, Rossmoyne, Safety Bay, Salter Point, Samson, Scarborough, Secret Harbour, Seville Grove, Shelley, Shenton Park, Shoalwater, Sinagra, Singleton, Sorrento, South Fremantle, South Guildford, South Lake, South Perth, Southern River, Spearwood, St James, Stirling, Straffon, Subiaco, Success, Swan View, Swanbourne, Tapping, The Vines, Thornlie, Trigg, Tuart Hill, Two Rocks, Upper Swan, Victoria Park, Viveash, Waikiki, Walliston, Wandi, Wangara, Wanneroo, Warnbro, Warwick, Waterford, Watermans Bay, Wattle Grove, Wattleup, Wellard, Welshpool, Wembley, Wembley Downs, West Leederville, West Perth, West Swan, Westfield, Westminster, Wexcombe, White Gum Valley, Willagee, Willetton, Wilson, Winthrop, Woodbridge, Woodlands, Woodvale, Yanchep, Yangebup and Yokine. 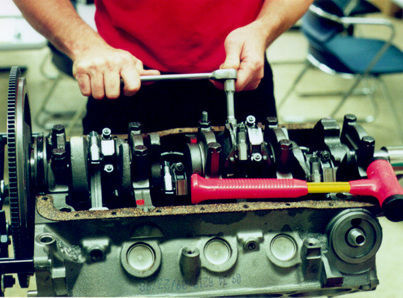 Finding the best engine reconditioning services in Perth can be a task for many people. However, engine reconditioning in Perth, Western Australia has never been easier thanks to Bells Engines. No matter what your engine requirements are Bells Engines are the No.1 Engine Reconditioners in Perth, Western Australia and will bring your damaged engines back to as good as new. We guarantee it. 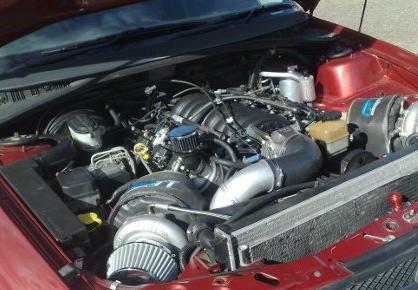 We recondition almost all car, truck and Industrial engines in Perth, WA. We also have an enormous choice of engine reconditioning parts and products including engines and parts for Cummins®, Caterpillar®, Detroit®, Holden, Ford®, Jeep, Hyundai®, Mitsubishi®, Detroit®, Perkins®, John Deere®, Case IH, Waukesha®, Toyota®, Nissan®, Volkswagen, Mercedes®, BMW® etc. We also recondition car engines for performance cars. Contact us today and you will be more than satisfied with the best engine reconditioning service as well as engine parts and new and used engines in Western Australia. We provide engine reconditioning services to other Perth suburbs including Alexander Heights, Alfred Cove, Applecross, Ardross, Armadale, Ascot, Ashfield, Attadale, Atwell, Balcatta, Balga, Ballajura, Bassendean, Bateman, Bayswater, Beaconsfield, Beckenham, Bedford, Bedfordale, Beechboro, Beechina, Beeliar, Beldon, Bellevue, Belmont, Bentley, Bertram, Bibra Lake, Bickley, Bicton, Booragoon, Boya, Brentwood, Brigadoon, Brookdale, Bull Creek, Bullsbrook, Burswood, Butler, Byford, Calista, Canning Vale, Cannington, Cardup, Carine, Carlisle, Carmel, Carramar, Casaurina, Caversham, Champion Lakes, Churchlands, City Beach, Claremont, Clarkson, Cloverdale, Como, Connolly, Coogee, Coolbellup, Coolbinia, Cooloongup, Cottesloe, Craigie, Crawley, Currambine, Daglish, Dalkeith, Darch, Darling Downs, Darlington, Dianella, Doubleview, Duncraig, East Cannington, East Fremantle, East Perth, East Victoria Park, Eden Hill, Edgewater, Ellenbrook, Embleton, Ferndale, Floreat, Forrestdale, Forrestfield, Fremantle, Girrawheen, Glen Forrest, Glendalough, Gooseberry Hill, Gosnells, Greenmount, Greenwood, Guildford, Gwelup, Hamersley, Hamilton Hill, Hazelmere, Heathridge, Helena Valley, Henley Brook, High Wycombe, Highgate, Hillarys, Hillman, Hilton, Hocking, Hovea, Huntingdale, Iluka, Inglewood, Innaloo, Jandakot, Jolimont, Joondalup, Joondanna, , Kalamunda, Kallaroo, Karawara, Kardinya, Karrinyup, Kelmscott, Kensington, Kenwick, Kewdale, Kiara, Kingsley, Kinross, Koondoola, Koongamia, Landsdale, Langford, Lathlain, Leda, Leederville, Leeming, Lesmurdie, Lockridge, Lynwood, Maddington, Madeley, Mahogany Creek, Maida Vale, Manning, Marangaroo, Mariginup, Marmion, Martin, Maylands, Medina, Melville, Menora, Merriwa, Middle Swan, Midland, Midvale, Millendon, Mindarie, Mirrabooka, Morley, Mosman Park, Mount Claremont, Mount Hawthorn, Mount Lawley, Mount Nasura, Mount Pleasant, Mt Helena, Mt Richon, Mullaloo, Mundaring, Mundijong, Munster, Murdoch, Myaree, Nedlands, Neerabup, Nollamara, Noranda, North Beach, North Fremantle, North Lake, North Perth, Northbridge, Oakford, Ocean Reef, Oldsbury, Orelia, Osborne Park, Padbury, Palmyra, Parkwood, Parmelia, Pearsall, Peppermint Grove, Perth, Pickering Brook, Piesse Brook, Port Kennedy, Queens Park, Quinns Rocks, Redcliffe, Ridgewood, Riverton, Rivervale, Rockingham, Roleystone, Rossmoyne, Safety Bay, Salter Point, Samson, Scarborough, Secret Harbour, Seville Grove, Shelley, Shenton Park, Shoalwater, Sinagra, Singleton, Sorrento, South Fremantle, South Guildford, South Lake, South Perth, Southern River, Spearwood, St James, Stirling, Straffon, Subiaco, Success, Swan View, Swanbourne, Tapping, The Vines, Thornlie, Trigg, Tuart Hill, Two Rocks, Upper Swan, Victoria Park, Viveash, Waikiki, Walliston, Wandi, Wangara, Wanneroo, Warnbro, Warwick, Waterford, Watermans Bay, Wattle Grove, Wattleup, Wellard, Welshpool, Wembley, Wembley Downs, West Leederville, West Perth, West Swan, Westfield, Westminster, Wexcombe, White Gum Valley, Willagee, Willetton, Wilson, Winthrop, Woodbridge, Woodlands, Woodvale, Yanchep, Yangebup and Yokine. Bells Engine Remanufacturers in Australia cater for everyone's engine needs including re-powering, re-manufacturing, rebuilding and reconditioning your engines throughout Australia, Africa, Asia, Canada, Europe, New Zealand, Russia, South America, United Kingdom, United States and Worldwide. In Australia alone we remanufacture engines and send them directly to Clients in Perth, Western Australia, including Mandurah, Rockingham, Pinjarra, Busselton, Albany, Perth, Bunbury, Dunsborough, Margaret River, Denmark, Kalgoorlie, Country Western Australia (Agriculture & Minesites), the Wheatbelt, Esperance, Geraldton, Carnarvon, Coral Bay, Exmouth, Karratha, Port Hedland, Broome, Tom Price etc. We also provide engine remanufacturing services to Clients in Melbourne, Victoria, Adelaide, South Australia, Sydney, New South Wales, Darwin, Northern Territory, Brisbane, Queensland and Tasmania. In fact we provide Engine Remanufacturing solutions for customers Nationwide and Worldwide! We work with International Mining companies, Oil and Gas companies, Civil Engineering and Industrial Engineering organisations, Haulage Contractors, Marine Companies Worldwide as well as small businesses and the general public. We also remanufacture all engines including Ford®, Holden®, Caterpillar®, Jeep®, Hyundai®, Cummins®, Detroit®, Perkins®, John Deere®, Case IH, Waukesha®, Toyota®, Nissan®, etc. Bells maintain millions of dollars in engine parts, as stock, and provide all the necessary engine kits and parts, used as well as new. At Bells Caterpillar® and Cummins® we are also a world renowned leader in Caterpillar® and Cummins® engine remanufacturing based in Perth and Mandurah in Western Australia. 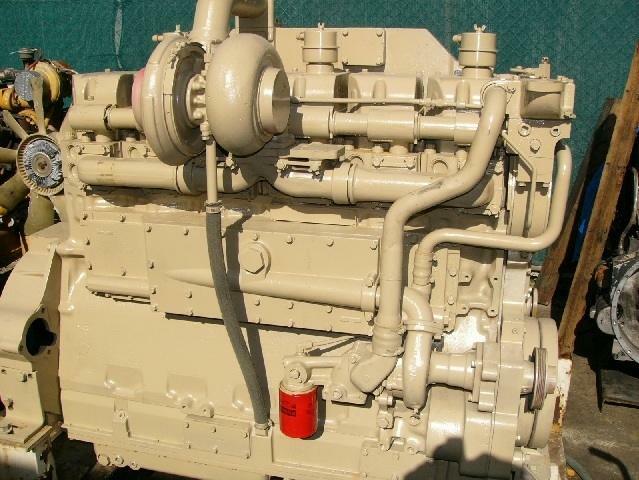 Next to the International ports of Fremantle we take delivery of your engines and ship them straight back to you completely remanufactured to OEM Manufacturer's specifications - worldwide. We provide all engine solutions for all types of heavy industrial applications including generators, drills, excavators, loaders, trucks, tractors etc. We cover equipment fleets and individual requirements. No matter where you are in Australia or the world we can take delivery of your engines, remanufacture them to full manufacturer's standards and send them right back for more years of excellent service for you. Metal Spraying and Thermal Arc Metal Engine Spraying in Australia is available from Bells Engines in Western Australia. We can take delivery of your components or engines from anywhere in Asutralia and the World, repair and remanufacture them, and ship them back to you completely repaired to Manufacturers specifications - as good as new. Bells Engines in Western Australia are constantly evolving technologically when it comes to providing engine solutions in order to reclaim your engines and parts back to original manufacturer's specifications. Engine metal spraying using our thermal arc metal spraying unit is an advanced solution that we provide. In order to reclaim and remanufacture worn, damaged or corroded engines and parts we use the latest in industrial technological advancements. Introducing our advanced ARC 140 / 350 Thermal Metallisation Spraying unit providing cutting-edge technology for all engine repairs including Caterpillar®, Cummins®, Detroit®, Perkins®, Volvo®, Mercruiser®, Ford®, Holden®, Jeep®, Mitsubishi®, Hyundai®, John Deere®, Case IH, Waukesha®, Toyota®, Nissan® etc, etc. All repaired and remanufactured back to manufacturer's specifications. Thermal arc engine metal spraying is also ideal for over-machined engine blocks where deck heights are below spec, these can be thermally sprayed and machined back exactly to all manufacturer's specifications. Bells Engines provide engine and parts metal spraying services and solutions throughout Perth, Western Australia, including Mandurah, Rockingham, Pinjarra, Busselton, Albany, Perth, Bunbury, Dunsborough, Margaret River, Denmark, Kalgoorlie, Country Western Australia (Agriculture & Minesites), the Wheatbelt, Esperance, Geraldton, Carnarvon, Coral Bay, Exmouth, Karratha, Port Hedland, Broome, Tom Price etc. We also provide Metal Spraying Engine and Parts Services to Melbourne, Victoria, Adelaide, South Australia, Sydney, New South Wales, Darwin, Northern Territory, Brisbane and Queensland and Tasmania. In fact we provide these thermal engine metal spraying solutions for customers Worldwide!. 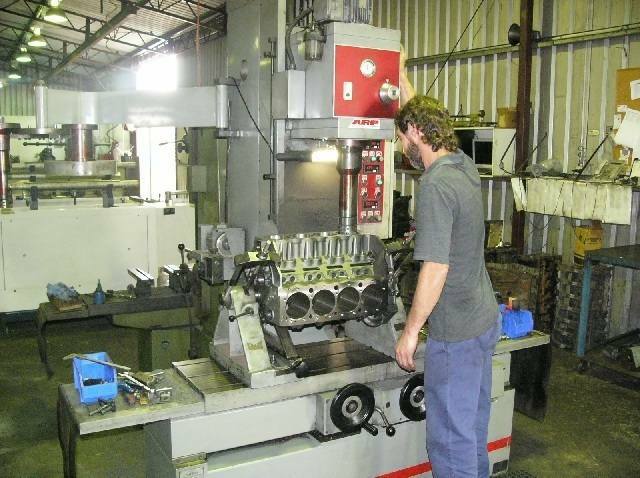 For all your Cummins® and Caterpillar® Engine Re-Manufacture Requirements in Perth, Western Australia. Bells Engines are proud to announce that they are the biggest re-manufacturer and Rebuilders of Cummins® and Caterpillar® Engines and parts in the State of Western Australia and one of the biggest suppliers of Cummins® and Caterpillar® engine parts in Australia and the world. Bells Engine's Cummins® and Caterpillar® Specialist Division is a 'one stop shop' catering for the reman and rebuild of every Cummins® and Caterpillar® engine on the market. We take delivery of your engines at our state -of-the-art Cummins® and Caterpillar® Engine workshops where we re-manufacture and completely rebuild your engines completely to Manufacturer's Specifications always ensuring top quality parts and workmanship of the highest standards in the world. We provide our services to Mining, Oil & Gas, Civil Engineering and Construction Industries. We cannot be beaten on our engineering expertise or price. When we have completed your Cummins® and Caterpillar® Engines we present them back to you in 'better than new' condition. We also supply Cummins® and Caterpillar® parts, new, re-manufactured, rebuilt and second hand. Why not contact us today and ask for Ron Bell. Contact Ron Bell today to find out more or call 08 9581 7944. We can service Mining Organisations Mine Sites at Karratha, Broome, Tom Price, Port Hedland, Onslow etc. For Auto Engine Wreckers in Perth, and for new and used car engines and parts in Perth, Western Australia, the best choice is always Ron Bell's Engines. At Bells Engines we recondition and wreck small and large car engines at our facilities. Call Ron Bell today and you will be very satisfied with the very best service for new and used engines & parts in Western Australia. Bells have the engineering resouces and facilities to rebuild your engines from start to finish. We also carry out cylinder head reboring, crank shaft grinding, conrod resizing, crack testing, diesel injection services. In fact, from scratch Bells Engines have the technology and facilities to bring your engine back to as good as new. 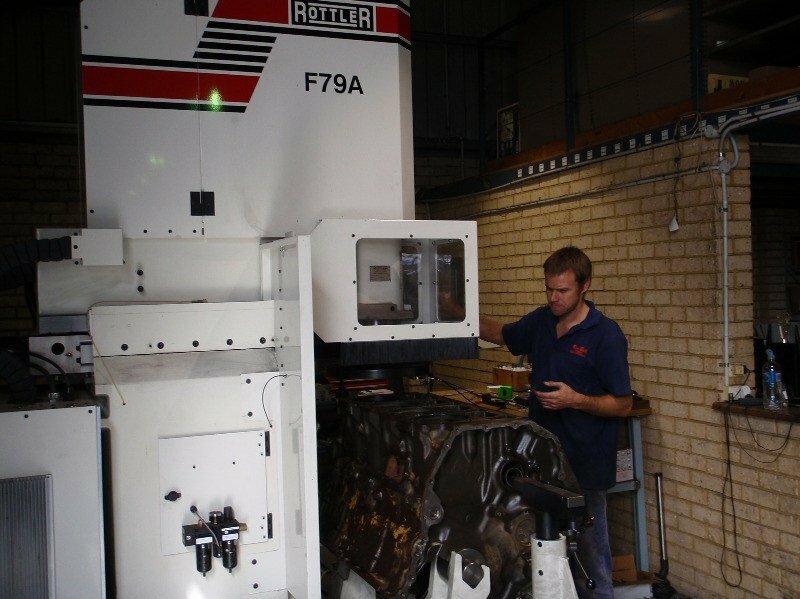 We use state of the art engine reconditioning equipment, at our facilities, including our brand new Rottler CNC Engine boring and alignment machine. Bells Engines provide engine wrecking and reconditioning services to Mandurah, Rockingham, Pinjarra, Busselton, Albany, Perth, Bunbury, Dunsborough, Margaret River, Denmark, Kalgoorlie, Country Western Australia (Agriculture & Minesites), the Wheatbelt, Esperance, Geraldton, Carnarvon, Coral Bay, Exmouth, Karratha, Port Hedland, Broome, Tom Price etc. Many times we get asked whether we repair or recondition "small" car engines. The answer is "yes"! The way we look at it here in Bells Engines, if it has a motor then normally we can repair it. So if you have any of the following in the list underneath then, quite likely, we can overhaul it and bring it back to as good as new with quality OEM parts and kits or high quality cost-effective aftermarket parts and kits. So, please don't hesitate to enquire - Bell's Engines practically do 'em all! We can provide all the above services and engine products at Mandurah, Rockingham, Pinjarra, Busselton, Albany, Perth, Bunbury, Dunsborough, Margaret River, Denmark, Kalgoorlie, Country Western Australia (Agriculture & Minesites), the Wheatbelt, Esperance, Geraldton, Carnarvon, Coral Bay, Exmouth, Karratha, Port Hedland, Broome, Tom Price etc. For Engine Overhauls in Perth and for new engine kits and parts in Perth, Western Australia, the best choice is always Bell's Engines. At Bells Engines we can completely overhaul an enormous range of second hand engines at a fraction of the price of buying new. Bells rebuild most makes and sizes of engines, including heavy industrial engines from start to finish. Call Ron Bell today and you will be very satisfied with the very best service for new and used engines, overhauls and engine parts in Western Australia. Bells Engines, like many engine wreckers and reconditioners in Perth and WA, are the genuine experts when it comes to making your used engine like new again. Bells specialize in rebuilding Cummins® engines, rebuilding Caterpillar® engines, Detroit® engine rebuilds, Navistar® engine rebuilds, Perkins® engine rebuilds, Waukesha® engine rebuilds, Yanmar® engine rebuilds, Komatsu® engine rebuilds, Toyota® engine rebuilds, John Deere® engine rebuilds, Case IH engine rebuilds, Ford® engine rebuilds, Nissan® engine rebuilds Holden® engine rebuilds, Performance engine rebuilds, and much much more. Bells have the resouces and facilities to overhaul most engines today, to the highest standard, from start to finish. 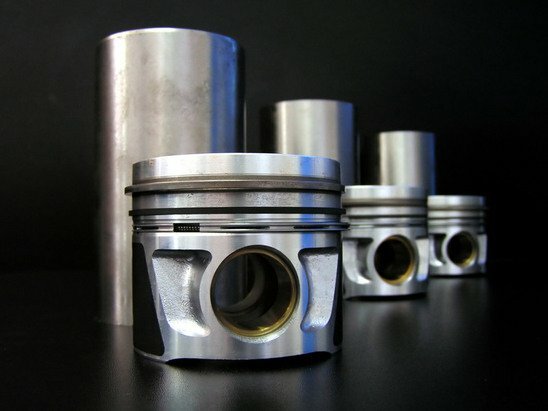 They also carry out cylinder head reboring, crank shaft grinding, connecting rod resizing, crack testing, diesel injection services. In fact, from scratch, Bells Engines have the technology and facilities to bring your engine back to as good as new. Bells Engines use state of the art engine overhaul and reconditioning equipment, at their facilities, including their brand new Rottler CNC Engine boring and alignment machine. Bells Engines proudly overhaul engines and supply engine kits to Mandurah, Rockingham, Pinjarra, Busselton, Albany, Perth, Bunbury, Dunsborough, Margaret River, Denmark, Kalgoorlie, Country Western Australia (Agriculture & Minesites), the Wheatbelt, Esperance, Geraldton, Carnarvon, Coral Bay, Exmouth, Karratha, Port Hedland, Broome, Tom Price etc. For Heavy Industrial Engines in Perth and for Heavy Industrial Diesel Engine Parts in Perth the obvious choice is always Ron Bell's Engines. Bells Engines have new and used engine parts and kits for heavy diesel equipment for various industries including construction, oil and gas and mining. Bells also rebuild and recondition an enormous range of diesel engines at a fraction of the price of buying new. Bells rebuild and overhaul most makes and sizes of engines from start to finish. Call Ron Bell today and you will be very satisfied with the very best service for new and used engines & heavy industrial engine parts in Western Australia. Bells Engines, like many industrial engine wreckers and reconditioners in Perth and WA, are the genuine experts when it comes to making your used engine like new again. Bells specialize in supplying parts and kits as well as rebuilding Cummins® engines, rebuilding Caterpillar® engines, Detroit® engine rebuilds, Navistar® engine rebuilds, Perkins® engine rebuilds, Waukesha® engine rebuilds, Yanmar® engine rebuilds, Komatsu® engine rebuilds, and much much more. Bells have the resouces and facilities to rebuild engines, to the highest standard, from start to finish. They also carry out cylinder head reboring, crank shaft grinding, conrod resizing, crack testing, diesel injection services. In fact, from scratch Bells Engines have the technology and facilities to bring your engine back to as good as new. 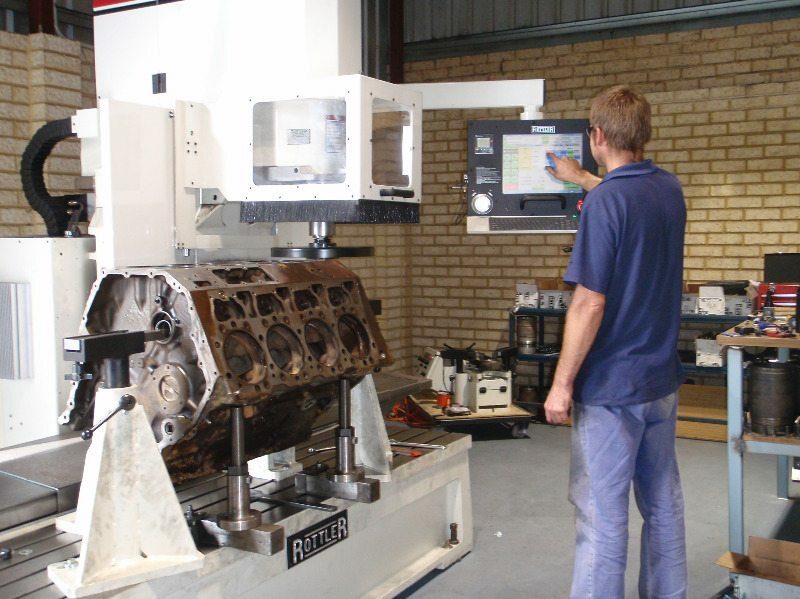 Bells Engines use state of the art engine reconditioning equipment, at their facilities, including their brand new Rottler CNC Engine boring and alignment machine. Bells Engines rebuild engines and supply engine parts to Mandurah, Rockingham, Pinjarra, Busselton, Albany, Perth, Bunbury, Dunsborough, Margaret River, Denmark, Kalgoorlie, Country Western Australia (Agriculture & Minesites), the Wheatbelt, Esperance, Northam, Geraldton, Carnarvon, Coral Bay, Exmouth, Karratha, Port Hedland, Broome, Tom Price etc. For Engine Rebuilds Perth and for new and used engines and parts in Perth, Western Australia, the best choice is always Ron Bell's Engines. At Bells Engines we can rebuild an enormous choice of second hand engines at a fraction of the price of buying new. Bells rebuild most makes and sizes of engines from start to finish. Call Ron Bell today and you will be very satisfied with the very best service for new and used engines & parts in Western Australia. Bells Engines, like many wreckers and reconditioners in Perth and WA, are the genuine experts when it comes to making your used engine like new again. Bells specialize in rebuilding Cummins® engines, rebuilding Caterpillar® engines, Detroit® engine rebuilds, Navistar® engine rebuilds, Perkins® engine rebuilds, Waukesha® engine rebuilds, Yanmar® engine rebuilds, Komatsu® engine rebuilds, Toyota® engine rebuilds, John Deere® engine rebuilds, Case IH engine rebuilds, Ford® engine rebuilds, Nissan® engine rebuilds Holden® engine rebuilds, Performance engine rebuilds, and much much more. Bells Engines rebuild engines and supply engine parts to Mandurah, Rockingham, Pinjarra, Busselton, Albany, Perth, Bunbury, Dunsborough, Margaret River, Denmark, Kalgoorlie, Country Western Australia (Agriculture & Minesites), the Wheatbelt, Esperance, Geraldton, Carnarvon, Coral Bay, Exmouth, Karratha, Port Hedland, Broome, Tom Price etc. For Car Wreckers in Bunbury and for new and used car engines and parts in Bunbury, Western Australia, the best choice is always Ron Bell's Engines. At Bells Engines there is an enormous choice of second hand products including engines and parts for most makes and sizes of engines. Call Ron Bell today and you will be very satisfied with the very best service for new and used engines & parts in Western Australia. Bells Engines, like many wreckers in Bunbury and WA, are the genuine experts when it comes to choosing new and used engine engine parts in the Bunbury area. Bells specialize in Cummins® engine parts, Caterpillar® engine parts, Detroit® engine parts,Navistar® engine parts, Perkins® engine parts, Waukesha® engine parts, Yanmar® engine parts, Komatsu® engine parts, Toyota® engine parts, John Deere® engine parts,, Case IH engine parts, Ford® engine parts, Nissan® engine parts, Holden® engine parts, Performance engine parts, and much much more. Bells have the resouces and facilities to rebuild engines from start to finish. They also carry out cylinder head reboring, crank shaft grinding, conrod resizing, crack testing, diesel injection services. In fact, from scratch Bells Engines have the technology and facilities to bring your engine back to as good as new. Bells Engines use state of the art engine reconditioning equipment, at their facilities, including their brand new Rottler CNC Engine boring and alignment machine. Bells Engines provide all engine parts to Mandurah, Rockingham, Pinjarra, Busselton, Albany, Perth, Bunbury, Dunsborough, Margaret River, Denmark, Kalgoorlie, Country Western Australia (Agriculture & Minesites), the Wheatbelt, Esperance, Geraldton, Carnarvon, Coral Bay, Exmouth, Karratha, Port Hedland, Broome, Tom Price etc. For Car Wreckers in Mandurah and for new and used car engines and parts in Mandurah, Western Australia, the best choice is always Ron Bell's Engines. At Bells Engines there is an enormous choice of second hand products including engines and parts for most makes and sizes of engines. Call Ron Bell today and you will be very satisfied with the very best service for new and used engines & parts in Western Australia. Bells Engines, like many wreckers in Mandurah and WA, are the genuine experts when it comes to choosing new and used engine engine parts in the Mandurah area. Bells specialize in Cummins® engine parts, Caterpillar® engine parts, Detroit® engine parts,Navistar® engine parts, Perkins® engine parts, Waukesha® engine parts, Yanmar® engine parts, Komatsu® engine parts, Toyota® engine parts, John Deere® engine parts,, Case IH engine parts, Ford® engine parts, Nissan® engine parts, Holden® engine parts, Performance engine parts, and much much more. For Car Wreckers in Perth and for new and used car engines and parts in Perth, Western Australia, the best choice is always Ron Bell's Engines. At Bells Engines there is an enormous choice of second hand products including engines and parts for most makes and sizes of engines. Call Ron Bell today and you will be very satisfied with the very best service for new and used engines & parts in Western Australia. Bells Engines, like many wreckers in Perth, are the genuine experts when it comes to choosing new and used engine engine parts in the Perth area. Bells specialize in Cummins® engine parts, Caterpillar® engine parts, Detroit® engine parts,Navistar® engine parts, Perkins® engine parts, Waukesha® engine parts, Yanmar® engine parts, Komatsu® engine parts, Toyota® engine parts, John Deere® engine parts,, Case IH engine parts, Ford® engine parts, Nissan® engine parts, Holden® engine parts, Performance engine parts, and much much more. For Perth Diesel Engine Repairs, Petrol Engine Repairs and for new and used engines and parts in Perth Western Australia then the only choice is Ron Bell's Engines. At Bells Engines we have the facilities, here in WA, and the state of the art engine repair equipment to machine your engine back to as good as new no matter what its been through. We also have an enormous range of products including engines and parts for engines such as Cummins®, Caterpillar®, Detroit®, Perkins®, Yanmar®, John Deere®, Case IH, Toyota®, Ford®, Nissan®, etc. Call Ron Bell today and you will be very satisfied with the very best service for engine reconditions, engine parts and new and used engines in Western Australia. We also carry out engine reconditioning for performance engine and cars as well as the more common vehicles too including Holden, Ford, Toyota, Nissan etc etc. Bells Engines have the resouces and facilities to rebuild engines completely from start to finish. We carry out cylinder head reboring, crank shaft grinding, con rod resizing, crack testing, diesel injection services. In fact, from scratch we have the technology and facilities to bring your engine back to as good as new. Bells Engines use state of the art engine reconditioning equipment, at our facilities, including our brand new Rottler CNC Engine boring and alignment machine. For Osborne Park engine reconditioning and for new and used engines and parts in Osborne Park, WA, the only choice is Ron Bell's Engines. At Bells Engines there is an enormous choice of products including engines and parts for engines like Cummins®, Caterpillar®, Detroit®, Perkins®, Ford®, etc. Call Ron Bell today and you will be very satisfied with the very best service for engine reconditions, engine parts and new and used engines in Western Australia. We also carry out engine reconditioning for performance engine and cars as well as common vehicles too including Holden, Ford, Toyota, Nissan etc etc. Bells have the resouces and facilities to rebuild engines from start to finish. We carry out cylinder head reboring, crank shaft grinding, con rod resizing, crack testing, diesel injection services. In fact, from scratch we have the technology and facilities to bring your engine back to as good as new. Bells Engines use state of the art engine reconditioning equipment, at our facilities, including our brand new Rottler CNC Engine boring and alignment machine. For Victoria Park Engine reconditioning and for new and used engines and parts in Victoria Park, WA, the only choice is Ron Bell's Engines. At Bells Engines there is an enormous choice of products including engines and parts for engines like Cummins®, Caterpillar®, Detroit®, Perkins®, Ford®, etc. Call Ron Bell today and you will be very satisfied with the best service for engine reconditions, engine parts and new and used engines in Western Australia. For Perth Turbos and Perth Turbochargers the only choice is Ron Bell's Engines. Bells Engines supply turbos for diesel and petrol applications throughout the Perth area. At Bells Engines there is an enormous choice of Turbos including engines and parts for most makes and sizes of engines. 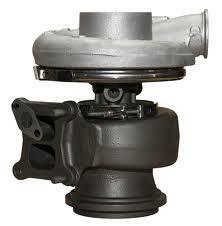 Call Ron Bell today and you will be very satisfied with the very best service for Turbochargers in Western Australia. Bells Engines are the genuine experts when it comes to choosing new and used engine parts in Perth and Western Australia. We specialize in turbos for Cummins® engines, Caterpillar® engines, Detroit® engines, Navistar® engines, Perkins® engines, Waukesha® engines, Yanmar® engines, Komatsu® engines, Toyota® engines, John Deere® engines,, Case IH engines, Ford® engines, Nissan® engines, Holden® engines, Performance engines, and much much more. The turbo chargers gained acceptance with non-decompressed engines where the turbo boost is controlled by the ECU. In these cases the engine operates as a normal aspirated, non-decompressed engine until the turbo boost sets in gradually. The boost is adjusted by the ECU in accordance with the RPM, and when the airflow restrictions at high RPM reduce the efficiency, then the boost pressure is increased to bring it back. This provides an almost “flat” power curve. Caterpillar® C12 Diesel Injectors and CAT® C15 Diesel Injectors and CAT® C16 Diesel Injectors. Choosing the right quality diesel injector isn't always straight forward. Direct Injection: Diesel engines have injectors mounted at the top of the combustion chamber. The injectors are activated using one of two methods - hydraulic pressure from the actual fuel pump, or through an electronic signal from a designated engine controller. Hydraulic pressure activated injectors sometimes produce harsh engine noise. Fuel consumption is about 15–20% lower than indirect injection diesel injectors. This extra noise is generally not a problem for industrial or constructional uses of the engine, but for general automotive usage, many buyers have to decide whether or not the increased fuel efficiency would compensate for this extra noise. Electronic control of the fuel injection transformed the direct injection engine by allowing much greater control over the engine combustion. 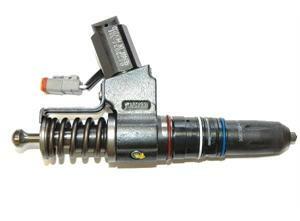 Bells have an enormous range of quality brand new diesel injectors for all makes and models. We are the biggest supplier of diesel injectors in Western Australia. Current stocks include Cummins®, Detroit®, Caterpillar®, John Deere®, Ford®, etc etc. For more information or technical data please comment below or contact us today. For Australind engine reconditioning and for new and used engines and parts in Australind, WA, the only choice is Ron Bell's Engines. At Bells Engines there is an enormous choice of products including engines and parts for most makes and sizes of engines. Call Ron Bell today and you will be very satisfied with the very best service for engine reconditions, engine parts and new and used engines in Western Australia. Bells Engines are the genuine experts when it comes to choosing new and used engine parts in the Australind and Harvey area. We specialize in Cummins® engine parts, Caterpillar® engine parts, Detroit® engine parts,Navistar® engine parts, Perkins® engine parts, Waukesha® engine parts, Yanmar® engine parts, Komatsu® engine parts, Toyota® engine parts, John Deere® engine parts,, Case IH engine parts, Ford® engine parts, Nissan® engine parts, Holden® engine parts, Performance engine parts, and much much more. 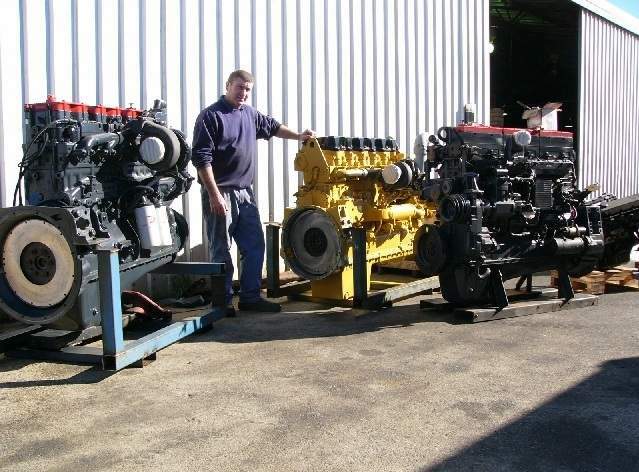 For Waroona engine reconditioning and for new and used engines and parts in Waroona, WA, the only choice is Ron Bell's Engines. 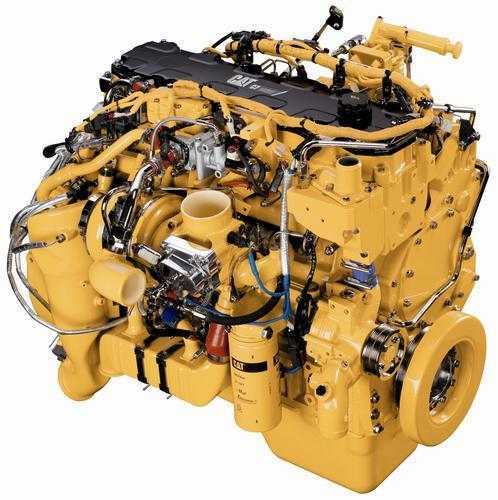 At Bells Engines there is an enormous choice of products including engines and parts for engines like Cummins®, Caterpillar®, Detroit®, Perkins®, Ford®, etc. Call Ron Bell today and you will be very satisfied with the very best service for engine reconditions, engine parts and new and used engines in Western Australia.